Two words are consistently used to describe what happened in Maricopa County during the March 22 presidential preference election: debacle and fiasco. Media reported “horror stories,” which included waiting as much as five hours in line and having to ration water while waiting. 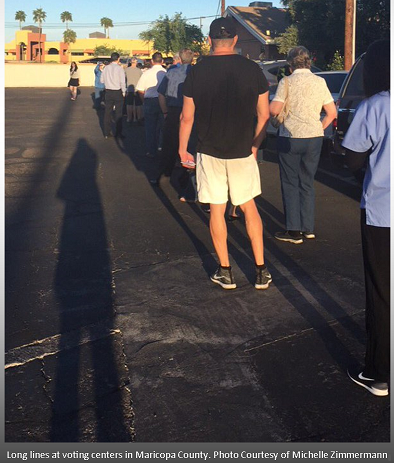 People continue to share their stories – one voter said she couldn’t find handicapped parking for her elderly parents who wanted to vote and after an hour of looking, they left without voting. After initially blaming voters for the delays at polling centers, Maricopa County Recorder Helen Purcell took responsibility for the mismanagement of the election, which had only 60 voting centers. In the 2012 presidential preference election, there were more than 200 polling places. Secretary of State Michele Reagan, the state’s top election official, said she wished she had questioned the plan beforehand. It is yet another indication that the Republican leadership at the Legislature has the wrong priorities. Republicans seem to be working to exclude people from the process. Over the past years and as recently as this year, we’ve seen them promote bills to make it a felony for volunteers to pick up and deliver early ballots, to impose voter ID requirements and to kick people off the permanent early voter list. House Democrats believe wholeheartedly that robust participation in our elections improves our democracy. We should be removing obstacles that prevent eligible voters from having their voices heard. This is one reason why we supported legislation that would have allowed registered Independent voters to participate in the presidential preference election. Legislative Republicans have been swiping money from elections, schools and county governments to stash away for corporate and special interest tax cuts. These cuts have siphoned about $4 billion from the state’s general fund with little evidence of any return on the investment. That money could have been used to fund our public schools, address the state’s teacher shortage or gone to the universities to help keep tuition affordable. Unfortunately, those are not the choices Republicans have made. And Arizonans have seen the result of these misplaced priorities. If Republicans continue to put corporate and special interests above our schools, our elections and other vital services, we will continue to see failures like the one on Election Day in many other areas. Their leadership is lacking – which is why we saw so much chaos at the House of Representatives during and following the Elections Committee hearing on March 28. 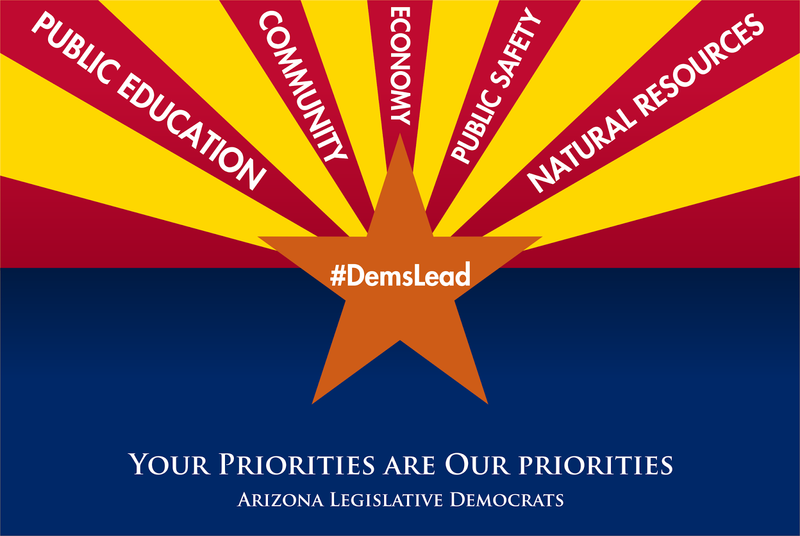 People want responsive government, and Democrats have a plan to move our state forward. We’ve proposed measures to reinvest in our state – our schools, our communities, our economy, our public safety and our natural resources. By focusing on the priorities of the people of Arizona, instead of what’s best for out-of-state corporations or special interest groups, we can move forward. To see a summary of the Democratic proposal, click here.